A brief history of the Potters National Bank building. Driven by the proliferation of new pottery manufacturers and increased competition, some potteries attempted mergers while others sought to stabilize markets and control the industry through the formation of trusts. In the face of stiff competition from the area's largest potteries, six of the smaller potteries merged in June of 1901 to form the East Liverpool Potteries Company. The consolidation consisted of the Globe Pottery Company, the East Liverpool Pottery Company, the East End Pottery Company, Wallace and Chetwynd, and the George C. Murphy Pottery Company, all of East Liverpool, as well as the United States Pottery Company of Wellsville. The merger was consumated so that they could handle large orders by jobbers. The combined capacity of the six firms was thirty-one kilns, equalling that of Knowles, Taylor and Knowles. Each plant owned stock in the new corporation and was operated individually with a single general manager over all of the potteries. 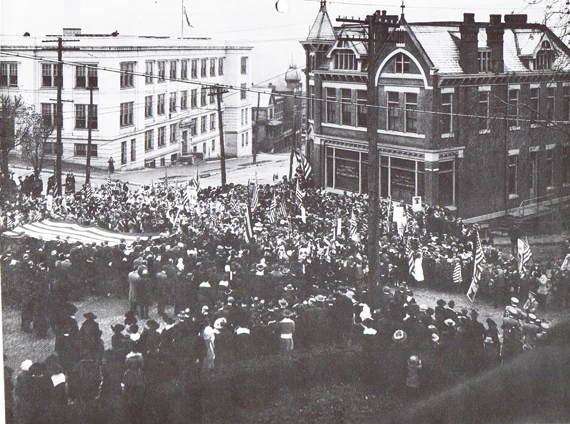 The new firm purchased the former Potter's National Bank building at Fourth and Broadway where they established offices and a sample show room.The City of Hills and Kilns, page 127, 176. Building opened as Potters National Bank in 1881 when the bank was first organized. From 1901-03, the building was owned by the East Liverpool Potteries Company and part of it was used as a showroom and for office space. The name of "East Liverpool Potteries" was seen on the rear of the building before its demolition. From 1882-1901, Jere Simms printed a newspaper, The Tribune, from the basement of the building. 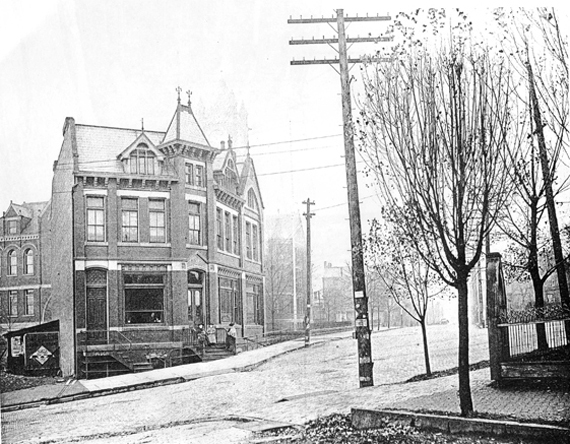 Simms later moved the Tribune operations to a building on the corner of Third Street and Center Alley. In 1903, Croxall Chemical and Supply Companyo took over the building, Croxall was still there in 1945. 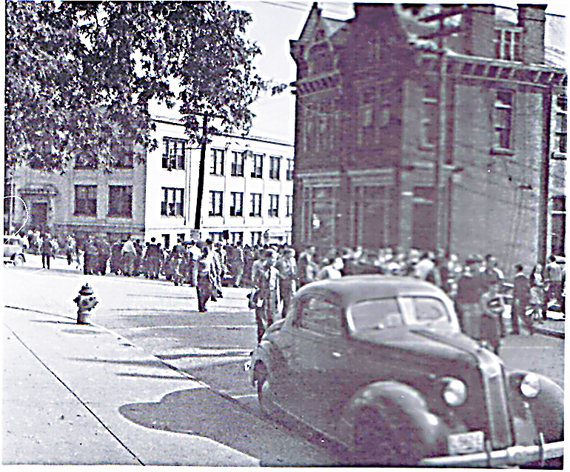 According to records, the building was listed as vacant in 1948 and in 1949. The Croxall Chemical and Supply Company had moved to the Potters Supply Building along the railroad tracks. The original bank building was expanded with an addition to the back of the building facing the river in the late-1940s or early-1950s. In 1951, Smith Auto Parts was listed as the owner of the building along Broadway. On Nov. 13, 1972, Willis Smith was shot and killed there by thieves. Willis Smith Jr. later took over the business. On Nov. 2. 2007, and after years of neglect, the city of East Liverpool moved to have the building condemned and demolished. Smith sold the building to nearby Kent State University. On Nov. 16, 2010, the Smith Building and former home to Potters National Bank was demolished. Information compiled by Michael O. McElwain and Joan Witt with the East Liverpool Historical Society. Notice how well the PNB building and Central School compliment each other in their architectural style. If you look closely you can see the tops of the windows for the basement where the newspaper offices were. In later years those windows were gone as the sidewalk extended up to the building. The picture below is probably around the same time perioid, 1900 or there abouts. Something that literally thousands of young East Liverpool students from 1894 to 1968 while attending East Liverpool High School did for approxmately 180 days a year. The PNB building was embedded in their consciouness as they passed it or saw it daily, sometimes several times daily, as they went to and from school or changed classes.